Airbus A350, the newest aircraft from the European planemaker, has taken off on its maiden test flight. The plane will take a short four-hour trip to carry out tests, and then land back at Toulouse. Airlines are being squeezed by high fuel costs and falling passenger numbers, and are looking for more fuel-efficient aircraft. 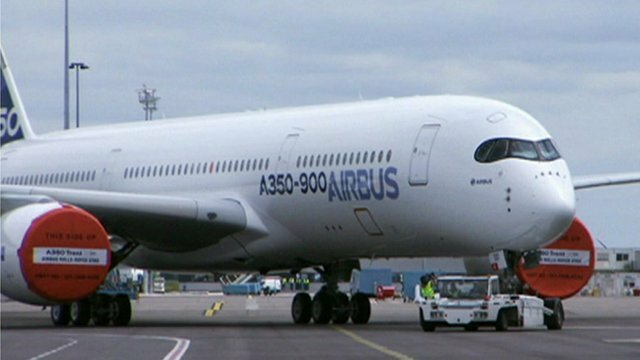 The wings of A350 were designed at an Airbus facility in Filton near Bristol, and are manufactured at Broughton in Wales.